What an amazing day yesterday. 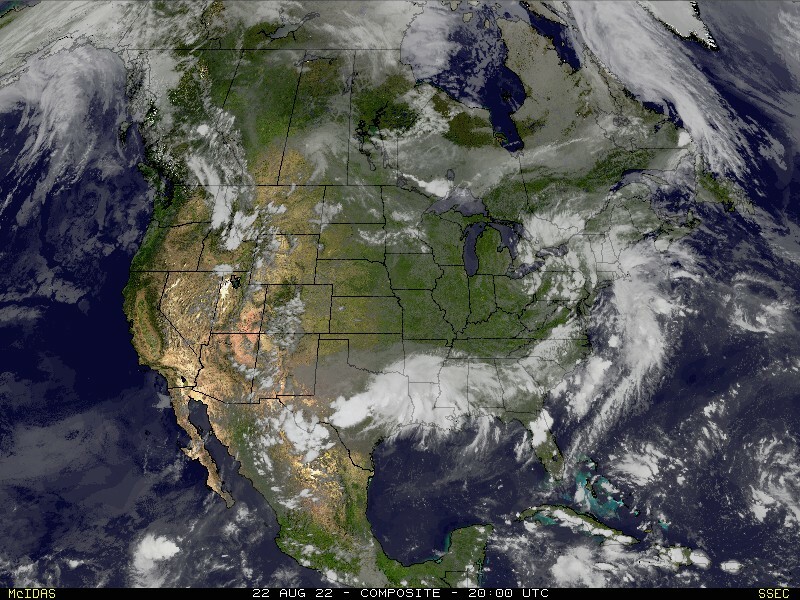 The Storm Prediction Center received 962 reports of severe weather from across the country. 82 reports of tornadoes. 396 reports of large hail. 484 reports of high winds. 1) The forecast panned out just about how I expected it. The time frame forecast was pretty good. I was saying between 1pm and 7pm/8pm for the KFVS viewing area. In reality, I believe the storms started firing up over western Reynolds County, Missouri around 2:30pm. The worst of the storms was out of the KFVS viewing area around 8pm. All modes of severe weather happened. Strong tornadoes, large hail and damaging winds. The forecast for Indiana worked out pretty well. I was calling for 4pm to 11pm. Most of the storms occurred during that time. A couple of tornadoes, hail and damaging wind hit central and south central Indiana. 2) After all of the deaths and destruction to our west Sunday and again Tuesday, I am EXTREMELY happy to say we got through yesterday without ANY deaths or major injuries. This is largely because you kept alert to the weather situation. You planned ahead. Thank you for being proactive and heeding warnings! I have had some question the "over-hyping" of yesterday's storms. Both leading up to the storms and during the storms. I want to say I do not think we over-hyped the dangerous weather situation leading up to yesterday or during the event itself. We were playing up the severe weather possibilities because we believed it could get bad. You will not hear me, on tv or online, talking up a storm that I do not believe could be a big deal. We (meteorologists, KFVS-TV and the National Weather Service) were very concerned about what could happen yesterday. It was a very serious situation. I know for one, I did not want to have to hear about deaths occurring in our viewing area. This may sound weird, but I take that very personally. I never want to see anyone die, but especially when it happens on my watch. Here are a couple of examples as to why we "hyped" the storms yesterday. 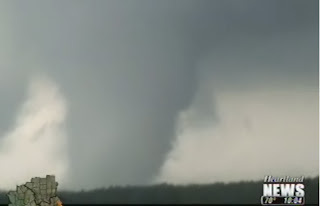 And here is a picture of the tornado that moved through Ellsinore, Missouri. From the little bit of video I looked at last night, I am guessing it will be rated an EF-3. The National Weather Service is out in Carter County today surveying the damage and they will have their assessments out over the coming days. The above image and videos should explain why we do what we do. Everyone in the weather community wants to keep people safe. We want to keep people alive.